Restaurant safety is essential in the restaurant industry. It is equally important to the employers, employees, and customers alike. 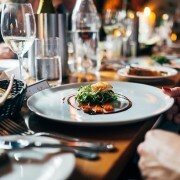 There are many potential hazards in the restaurant industry which is why Tagrisk Insurance Services offers a complete suite of hospitality insurance programs to protect restaurant owners and their businesses. Proper food prep, handling, and storage are essential for restaurants as the smallest mistakes can have enormous ramifications. 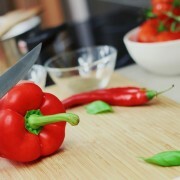 Cross Contamination can leave your customers sick or worse! Some restaurants must operate faster than others (maybe speed is one of their core values). The employees at these restaurants may forget to put gloves on when using solvent to clean up messes. Clear labels and a storage section/closet dedicated to cleaning materials may deter this from happening. Sanitation, good hygiene, and food temperature control are mandatory for restaurants and are major points during a health care inspection. Thermometers should always be calibrated and heavier items should be stored on the bottom rack/shelf. Employees should also be frequently washing their hands (especially when leaving the bathroom). Employees should also come to work clean and with a clean uniform. Depending on the restaurant, your staff may require an apron, gloves, hairnet, and slip resistant shoes. Ergonomics from comfortable seating for guests to employees standing for long periods of time requires attention. Consider the cause of one of the most common hazards in restaurants, slippery floors. Slip and falls do happen but there are preventative measures your establishment can take before a slip and fall turns into a lawsuit. Don’t forget that your employees can hurt themselves the same way customers can in your restaurant! With sharp objects, fryers, and hot stoves the chances of your staff getting seriously hurt increases exponentially. To help mitigate these situations, consider slip-resistant shoes, slip-resistant floor mats, and lighting for maximum visibility in your establishment. Lacerations, strains and sprains are almost as common as burns in the restaurant industry. Lacerations (cuts) occur from using knives or other sharp cutting equipment. Safety procedures should be put in place on how to operate sharp cutting equipment and knives should never be improperly stored. Customers can also get cut if they touch broken plates, bowls, or glasses. It is important that defective or broken utensils/dinnerware are never served to customers. Strains and sprains come from lifting incorrectly and repetitive motions (such as cutting and folding). Proper technique and communication can curb these injuries.